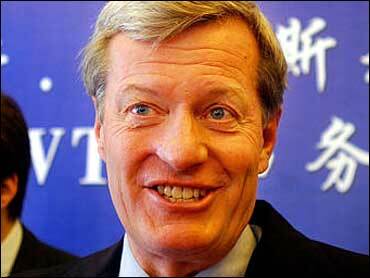 Sen. Max Baucus (D-Mont. ), who is leading bipartisan health talks with a handful of senators called the "gang of six," released a framework for comprehensive health care reform on Tuesday. The framework includes many Democratic proposals such as a mandate for all individuals to acquire health insurance. It includes a proposal to establish nonprofit health care cooperatives in lieu of a government-sponsored plan, or "public option." It also includes some Republican proposals, such as allowing consumers to purchase health insurance across state lines. The gang of six reviewed the proposals in the framework in their meeting today, and the document notes that suggestions for changes are welcome, although proposals that would increase the cost of the package are encouraged to be paired with proposals that would offset the additional costs. • Indvidual mandate. Beginning in 2013, all U.S. citizens and legal residents would be required to have health insurance. There would be an exemption for those for whom coverage is deemed unaffordable. For everyone else who fails to get coverage, there would be annual penalties ranging from $750 for an individual to $3800 for a family. • Co-ops. The proposal authorizes funding to foster the creation of nonprofit, member-run health insurance companies. Federal loans and grants would be provided to assist with start-up costs and state solvency requirements. The framework does not suggest who would start the co-ops, but it lays out guidelines for the kinds of organizations that might. For instance, it says a co-op must not be an existing organization that provides insurance, must not be sponsored by the government and governance of the organization must be subject to a majority vote of its members. • Employer responsibility. Employers with more than 50 full-time employees that do not offer health coverage must pay a fee for each employee who receives the tax credit for health insurance through an exchange. The fee would be based on the amount of the tax credit received by the employees, but it would be capped. • State-based health insurance exchange. State-based "exchanges" will be established to facilitate enrollment for individuals and separately for small companies (or small groups). • Interstate Sale of Insurance. Starting in 2015, states may form "health care choice compacts" to allow for the purchase of non-group health insurance across state lines. • Market Regulations for Small Group and Individual Markets. The framework proposes out-of-pocket limits, prohibiting annual or lifetime limits on benefits and prohibiting insurers from excluding coverage for pre-existing health conditions. All plans would be required to cover a number of benefits including preventive and primary care, physician services, outpatient services, emergency services, hospitalization, day surgery and related anesthesia, maternity and newborn care. • Tax Credits for Individuals. Beginning in 2013, tax credits would be available on a sliding scale basis for individuals and families between 134 percent and 300 percent of the federal poverty level to help offset the cost of private health insurance premiums. They would be later available to individuals and families between 100 percent and 133 percent of poverty. Individuals between 300 percent and 400 percent of poverty would be eligible for a premium credit at a flat percent of income. • Small Business Tax Credits. Tax credits would be available for firms with fewer than 25 employees and average wages below $40,000. • Tax on Insurers. An excise tax of 35 percent would be levied on insurance companies for any health insurance plan that is above $8,000 for singles and $21,000 for family plans. • Cost Savings. The framework proposes limiting Health Flexible Savings Account contributions to $2,000 per year. It also proposes an annual fee of $6 billion on the health insurance sector beginning in 2010. • Expansion of Medicaid. Medicaid would be expanded to parents and children six and older who fall at or under 133 percent of the poverty line. Childless adults making up to 133 percent of poverty would be eligible for the first time. • Linking Medicare Payments to Quality Outcomes. The framework proposes methods of making Medicare more efficient, such as creating a Medicare Commission that would submit proposals to Congress to extend Medicare solvency and improve quality in the Medicare program. The Secretary of Health and Human Services would be required to implement the provisions included in the proposal, unless Congress offered an alternative plan. At his daily press briefing Tuesday, White House Press Secretary Robert Gibbs said it would preferable to have a bill from the Senate Finance Committee before the president gives his health care speech to a joint session of Congress on Wednesday. "I think what the president will do is, as I've said, take the strands that exist, the ideas that are out there, and try to pull many of those together," Gibbs said. "Outline in some specificity a plan moving forward. I think the president understands -- and always has understood -- that this was not going to be easy."